Squirrels are ready to attack, so forget about zombies and sharks. Warn the public! You can buy this shirt here for men. You can also buy it for infants here. That's right, forget about sharks, zombies, bees, tomatoes and other killer creatures. This squirrel shirt tells you what to really be afraid of: Killer Squirrels. 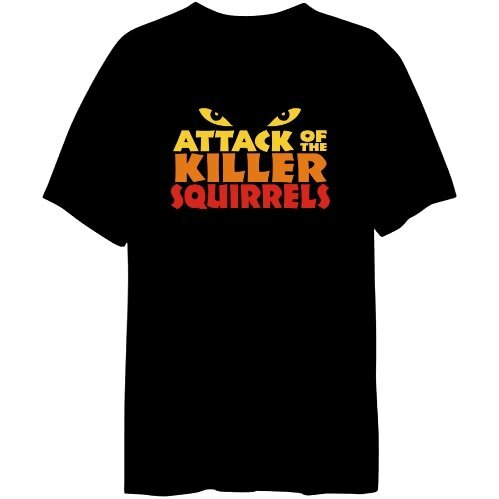 It fits nicely into the "war with squirrels"/ "squirrels attack" theme, complementing the "squirrels with guns" shirt, "attack of the flying squirrels" shirt, and "squirrel on a tank" shirt.